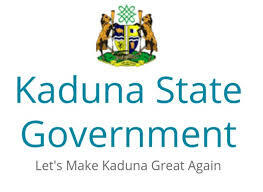 Stanbic IBTC Bank is partnering with the Kaduna State Government of Nigeria to build the Kaduna-Stanbic IBTC Entrepreneurship Centre (KADSEC). This is part of efforts to encourage entrepreneurship and help build a vibrant and productive small and medium enterprises sector. The Centre is expected to serve as an incubator that will nurture budding entrepreneurs and businesses to sustainable success. At the launch of the Centre in Kaduna recently, Stanbic IBTC stated that the Centre will provide services such as capacity building programmes for interested business owners/entrepreneurs, mentorship, on-site business management counselling, financial advisory, market development assistance, networking opportunities, provision of patronage linkages, export assistance, and easy access to loans from Stanbic IBTC, among other services. We are establishing this Centre because young entrepreneurs and businesses often struggle due to lack of necessary support, in terms of infrastructure, capacity, advisory and access to finance, and they also have the wrong notion on structuring of the business. The Kaduna State Governor, Mallam Nasir El-Rufai, who performed the tape-cutting ceremony for the Centre, commended Stanbic IBTC for the establishment of the Centre in the State. ‘By this gesture, Stanbic IBTC has, once again demonstrated its willingness to be a developmental partner in the economic growth and inclusive development of the state and indeed the country. We assure you that my government will continue to provide the necessary support for the financial institution’, El-Rufia said. 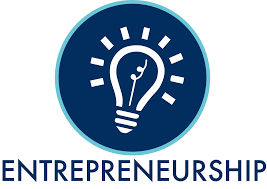 The Entrepreneurship Centre, aside having an incubator facility with office spaces for beneficiaries, has programmes that will benefit participating businesses and entrepreneurs, including the Kaduna Tech Accelerator Programme, a start-up ecosystem for tech entrepreneurs, and the Agro-business Incubation programme, designed to offer customized assistance and intensive services to beneficiaries. Stanbic IBTC assured that it will continue to leverage on the 155-year experience, expertise and strong financial clout of Standard Bank Group, to which it belongs, to seek more partnership opportunities to empower entrepreneurs and start-ups that show great potential for growth and job creation with the requisite capacity. Lagos State Government says it is committed to economic diversification.